Dr. Jeffrey A. Morgan is Chief Medical Officer for BIOLIFE4D. An accomplished academic and medical professional, Morgan also holds multiple positions of leadership at Baylor College of Medicine, including Chief of the Division of Cardiothoracic Transplantation and Circulatory Support and the Lester and the Sue Smith Endowed Chair of Surgery. Morgan specializes in treating patients with advanced heart and/or lung failure. Dr. Morgan implants mechanical circulatory support devices for left ventricular, right ventricular, or biventricular failure as a bridge to transplant (BTT) or destination therapy (DT). This includes left ventricular assist devices (LVADs), such as the HeartMate II, HeartMate III, and HeartWare HVAD, as well as the Syncardia total artificial heart (TAH). Morgan completed his General Surgery Residency at Mount Sinai Medical Center in New York and his Cardiothoracic Surgery Residency at New York University. He went on to complete fellowship training in cardiac transplantation and mechanical circulatory support at Columbia Presbyterian Medical Center. Prior to joining the teams at Baylor and Texas Heart Institute, Morgan previously held a position as associate professor at Wayne State University School of Medicine. He served as surgical director for Mechanical Circulatory Support and associate director for Heart and Lung Transplantation at Henry Ford Hospital in Detroit. Morgan’s research is focused on advanced heart failure with numerous publications, national and international presentations, and book chapters to his credit. He is the section editor for Adult Mechanical Circulatory Support for the American Society of Artificial Internal Organs (ASAIO) Journal and is on the Editorial Board of The Journal of Heart and Lung Transplantation. 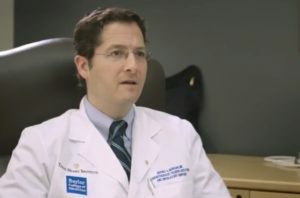 He is also a reviewer for several other journals including The Annals of Thoracic Surgery and the Journal of the American College of Cardiology. Dr. Morgan served on the ISHLT Standards and Guidelines Committee and was a Task Force chair for the ISHLT Guidelines for MCS. He is also a previous chair of the Cardiac Track Programming Committee for the ASAIO Annual Conference. Dr. Morgan has moderated numerous sessions on mechanical support and transplant at ASAIO, ISHLT, and the American College of Cardiology. Morgan is passionate about improving outcomes in patients with advanced heart or lung failure. He has participated in numerous clinical trials including Thoratec’s HeartMate II BTT and DT trials, Heartware’s HVAD BTT and DT trials, the HeartMate III trial, and Syncardia’s 50 cc TAH trial. In addition, he is investigating the utility of stem cells as an adjunct measure for myocardial recovery, as part of the LVAD MPC II trial. Morgan completed his undergraduate studies at Yeshiva University in New York City before earning a MD from Albert Einstein College of Medicine. He completed a residency in General Surgery at Mount Sinai Medical Center, a residency in Cardiothoracic Surgery at New York University and a Fellowship in Cardiac Transplantation and Mechanical Circulatory Support at Columbia Presbyterian Medical Center. Morgan is a member of the American Medical Association, the International Society of Heart and Lung Transplant, the Society of Thoracic Surgeons and the American Society for Artificial Internal Organs. He is also certified by the American Board of Thoracic Surgery and the American Board of General Surgery.